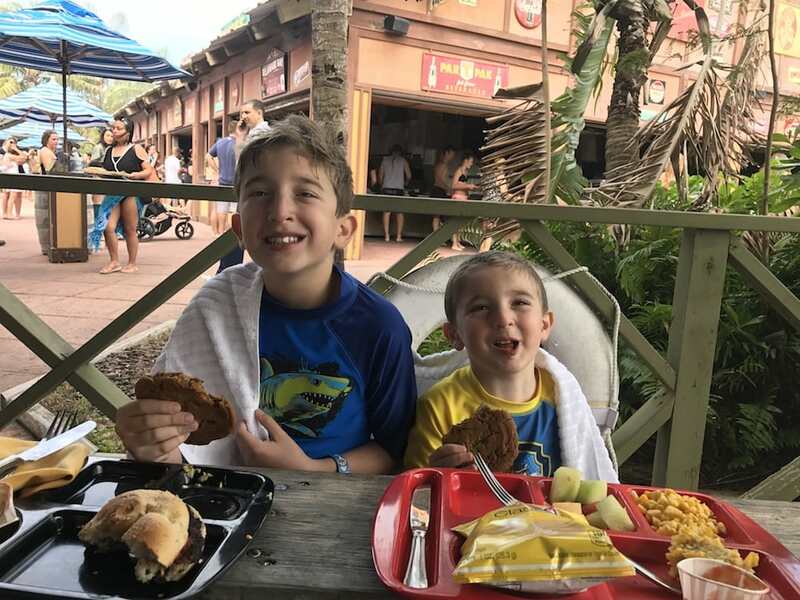 We just returned from Castaway Cay and I have to admit – that stop is always one of our favorites while cruising with Disney on board one of their ships. 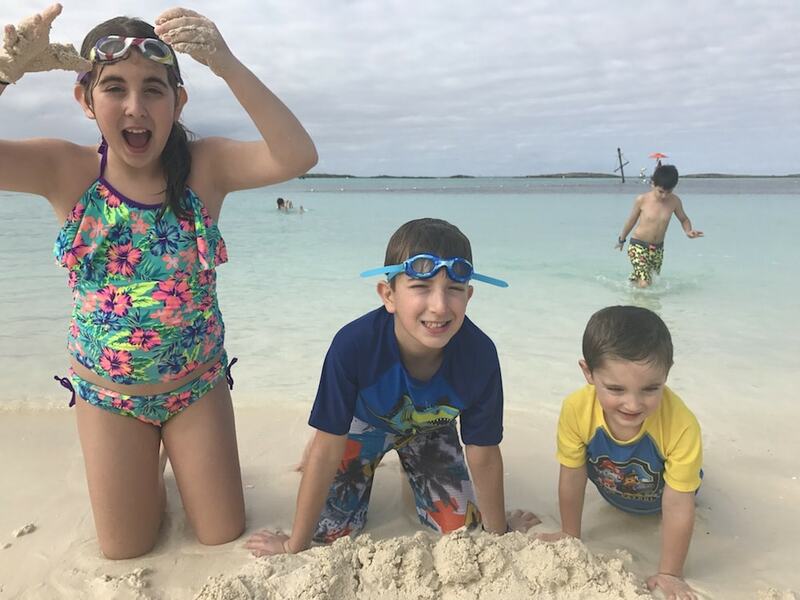 This year, we had the pleasure of sailing on the Disney Fantasy and celebrated Star Wars Day at Sea, but for one glorious day it was just us and the sand on Castaway Cay. I wanted to tell you a little bit about all the things you can expect once you find your spot in the sand. Believe me, there is plenty to do. First of all, typically there is a 5K race to run. Unfortunately, I don’t have any pictures to share because I was doing a few interviews that morning and I missed all the fun. 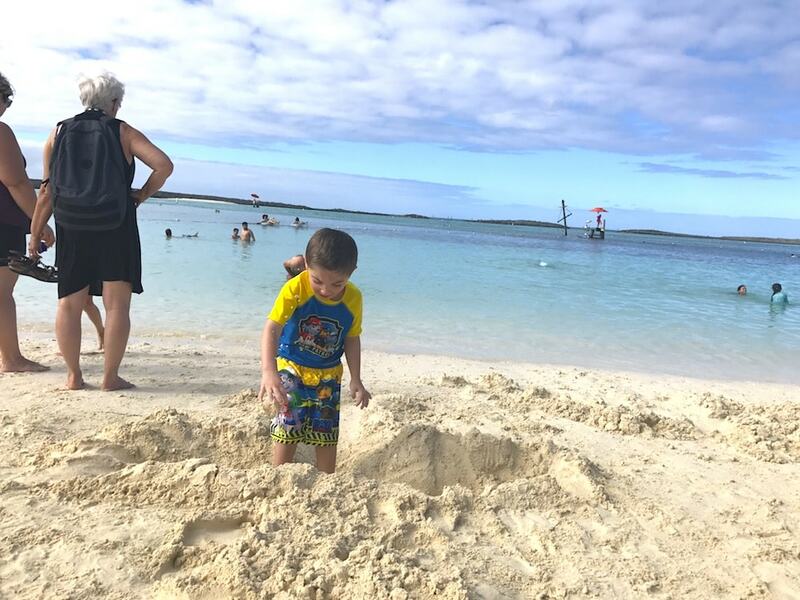 But just know that if you are a runner or if you think it would be super fun to get the whole family involved with a 5K while on vacation, bring your sneakers because the opportunity will present itself on Castaway Cay!! What else can you do? 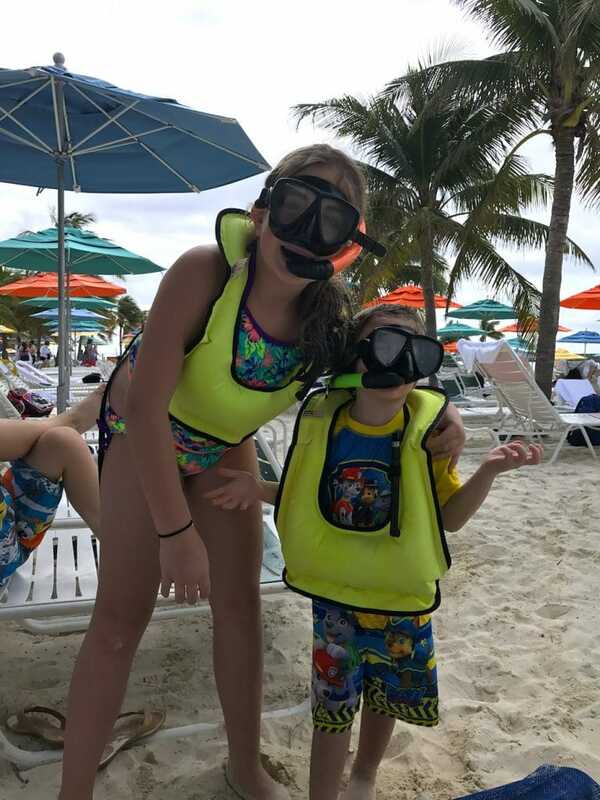 Snorkeling is a HUGE attraction and there is a whole section on the beach dedicated to those wanting to search for underwater fun. 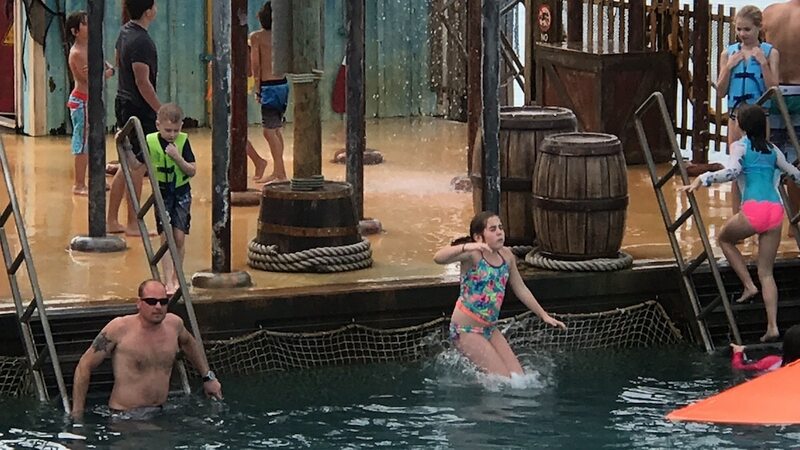 My children actually got to see a few stingrays! WOW!!!! Love it!! 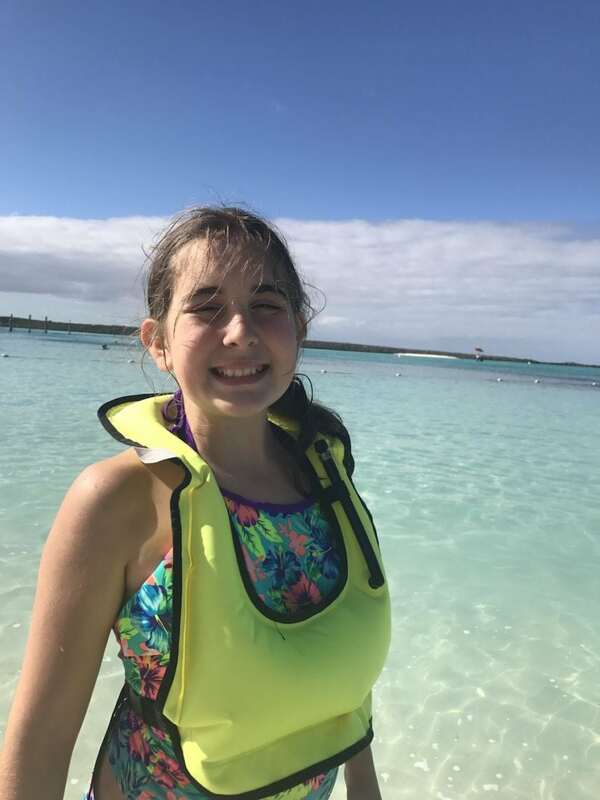 Kids will need to wear these bright yellow vests if they want to get in the water – it’s an added precaution and I was so thankful for it. Who Is Ready For The Dance Party? 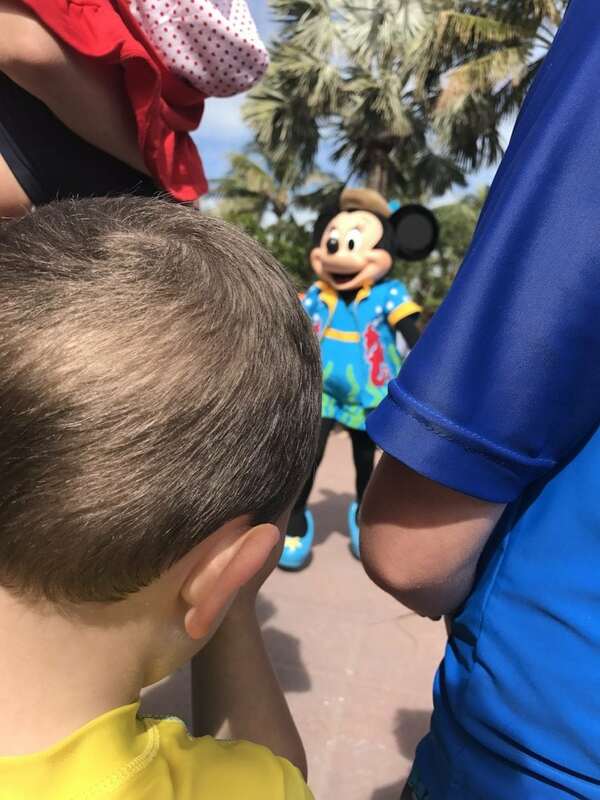 Yes, Mickey And Minnie Are There! And then there is a dance party!! 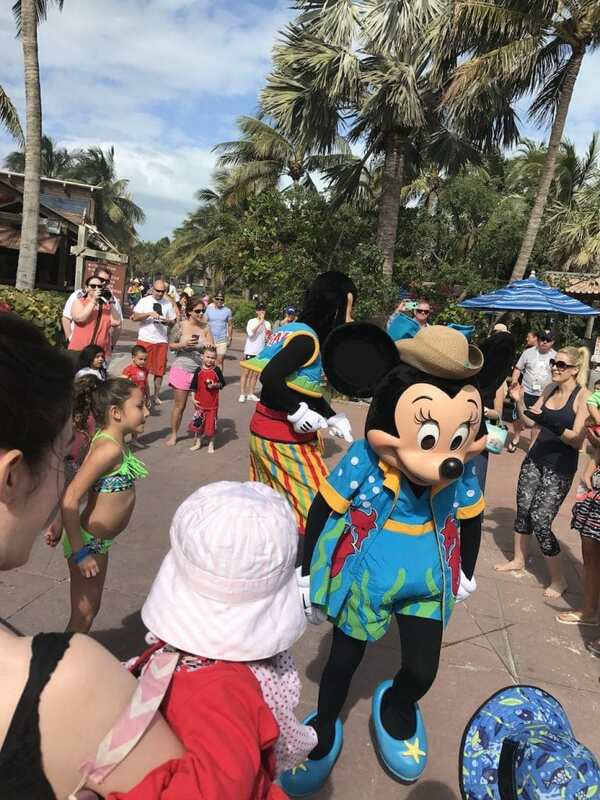 Around 1PM or so, a few of your favorite characters come out to greet the kids and everyone just goes WILD. I love how parents and little ones all jump in together. Party over here!!! It’s a nice little insert of madness into your beach day. Where else can you go where Minnie and Pluto will surprise you with the Cha Cha? 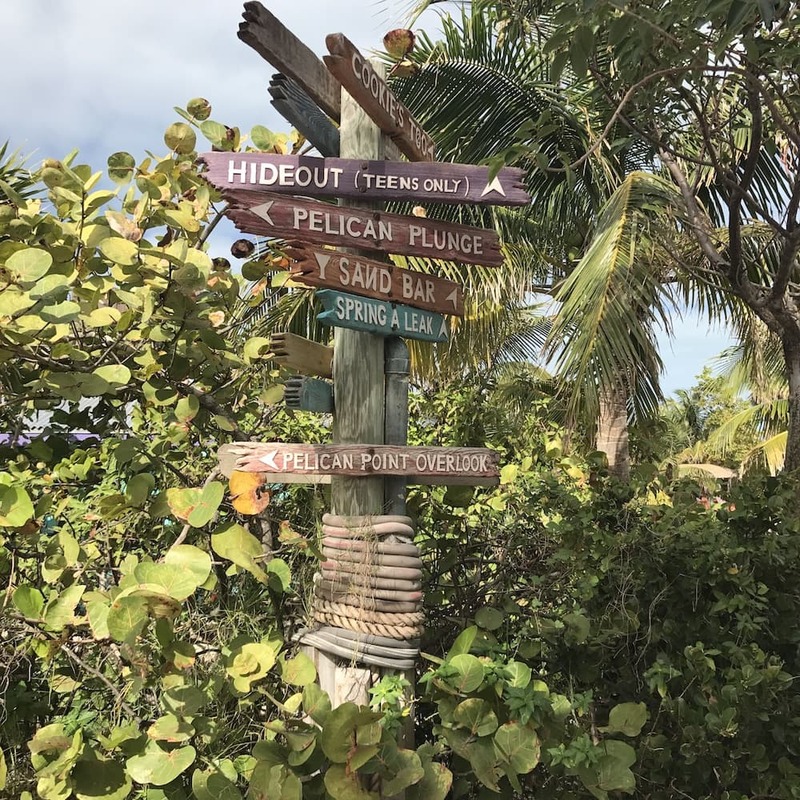 Nowhere – that’s where! 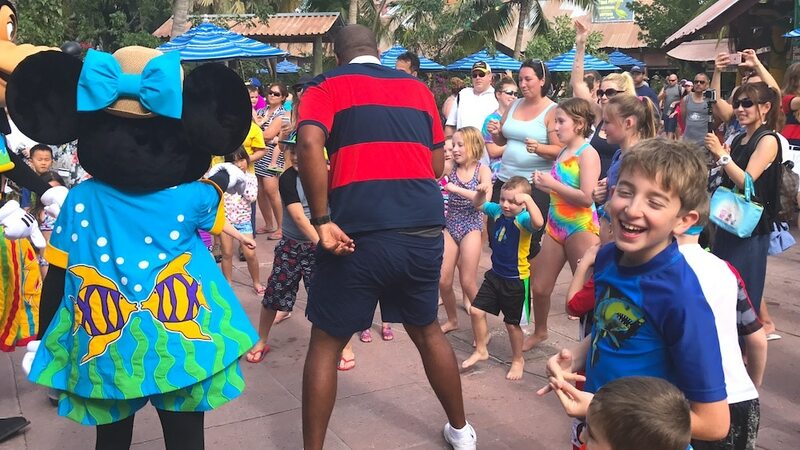 You will always remember your first dance party on Castaway Cay. Believe me. 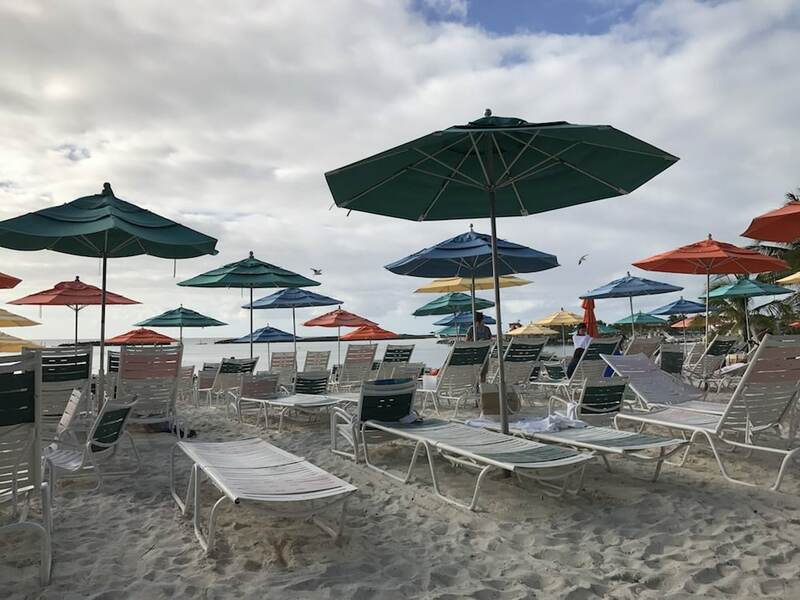 There are so many fast-paced, wonderful moments that will happen on the Disney Cruise, but sometimes you’ll want to do absolutely nothing and just relax. 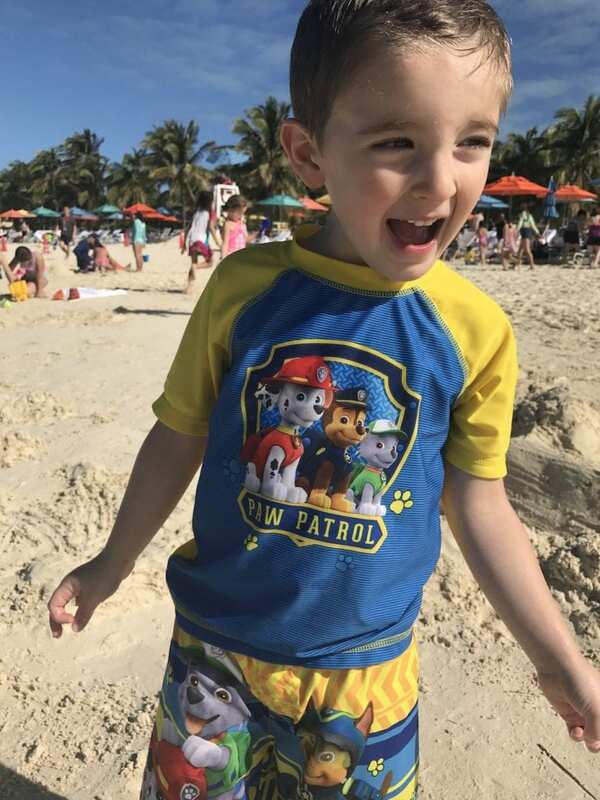 Castaway Cay gives you just that. 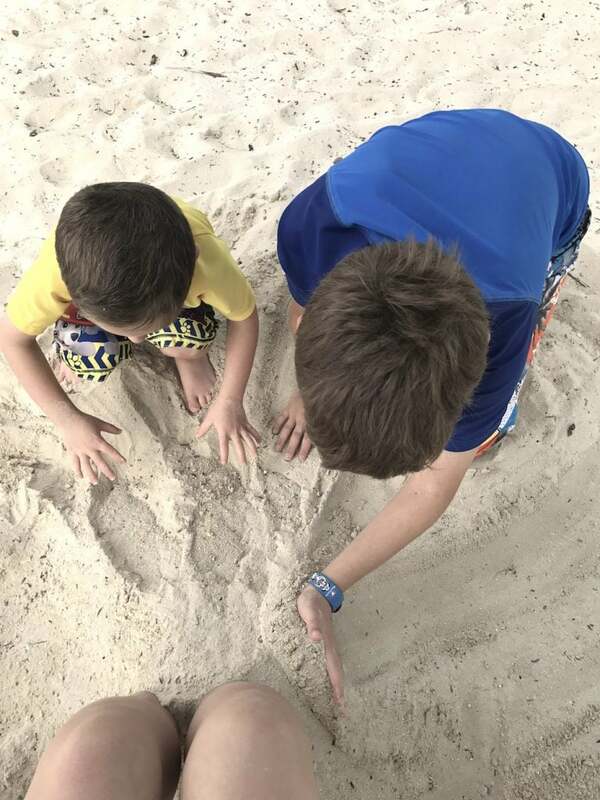 The boys spent SO MUCH TIME digging holes and burying me and we didn’t have a care in the world. It was amazing. A highlight of the day. If you have teens, they will be happy to hear that there is a special little area for them to explore on their own. No adults allowed!!! AHHHH. We aren’t there yet – my oldest is 11. So, I can’t report on what is inside there. It’s like a big ol’ secret that all the younger kids want to know about. I love it! 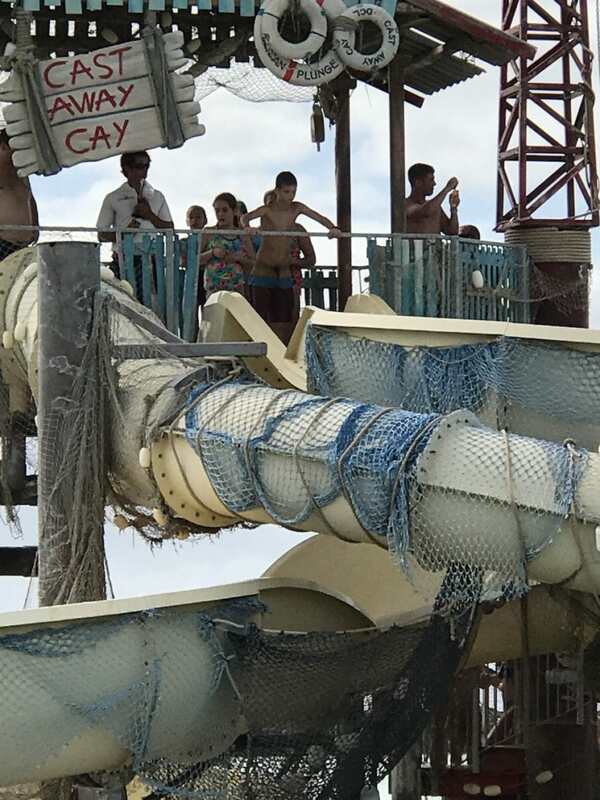 On the opposite side of the beach, you’ll find an amazing waterslide. Natalie spent a good two hours over here with Bill. No joke! I couldn’t get a hold of them for the entire afternoon. But she was beyond thrilled!!! If you want a drink, don’t worry! You’ll find one. 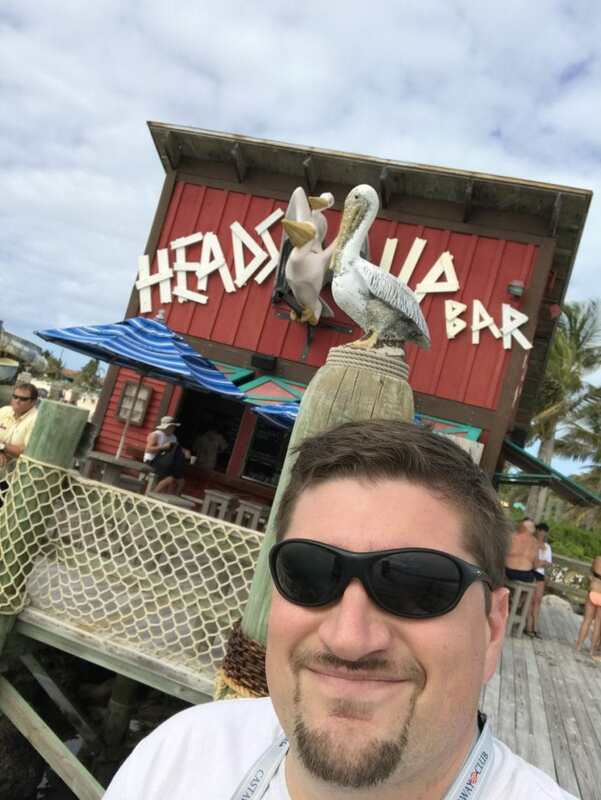 Castaway Cay has plenty of little set ups all throughout the island. And to be honest with you, I love the decor!! 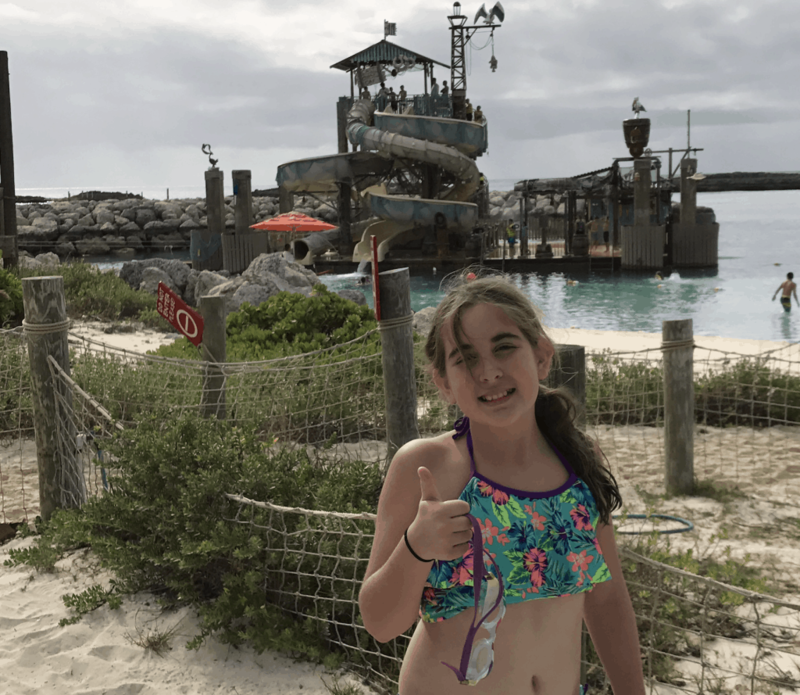 All in all – expect a wonderful day on Castaway Cay!! 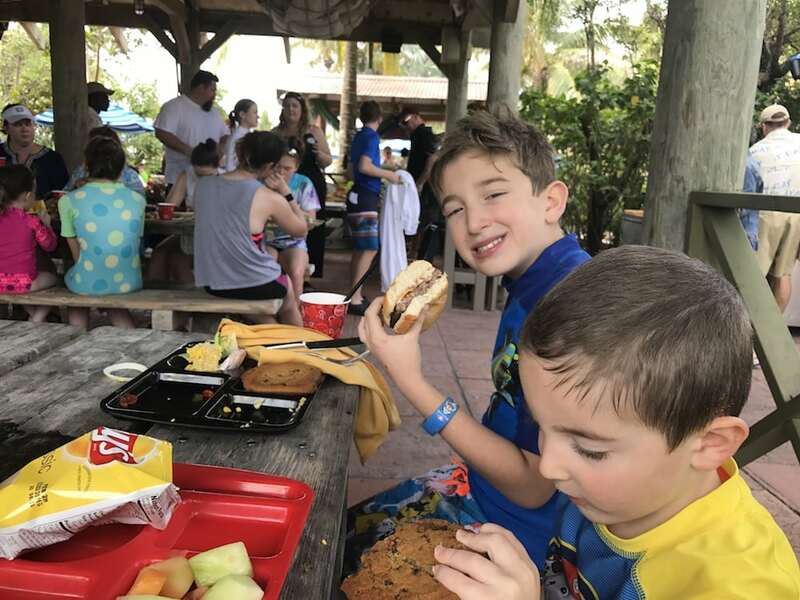 You will get the reset you need to continue on with your cruise and create lasting memories with your family. For more information about the Disney Cruise, click here. 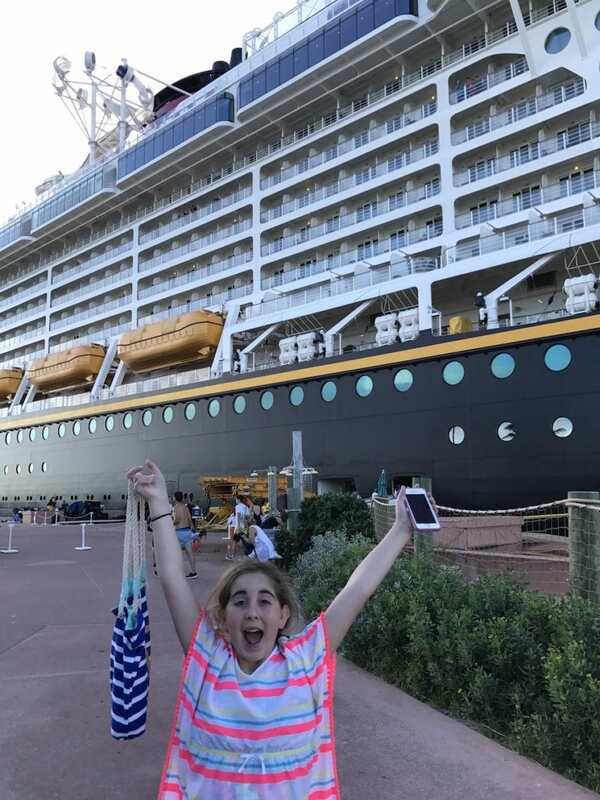 To read more posts about my Disney Cruise adventure, click here.